Today was a hot summer’s day with the thermometer in some places within Glasgow hitting a high of 27 degrees Celsius. The SAFY team set up the stall with the majority of the members fasting as it was the 4th day of the Islamic month of Ramadhan, to any other member of the public it was 13th July. 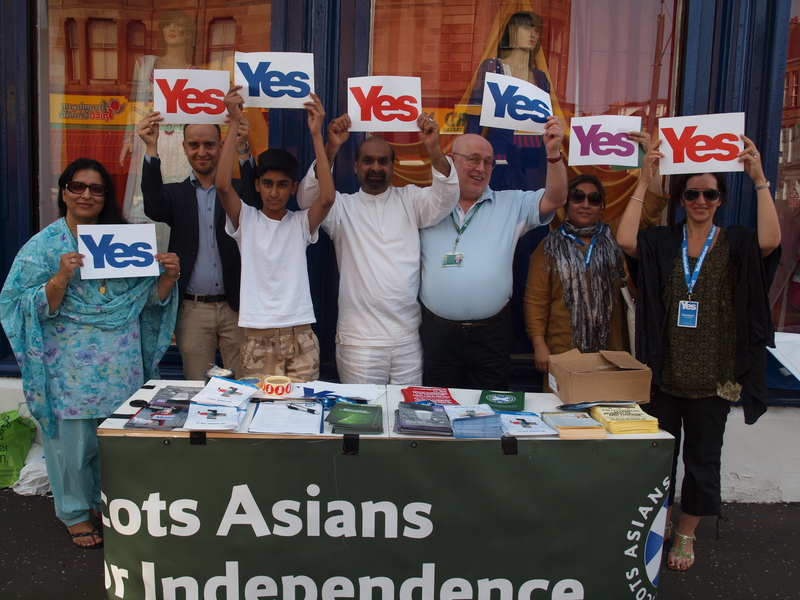 It was a really good day as there were many people out shopping and there was a lot of interest in our stall perched on the pavement opposite Spice Gardens on Albert Drive in Pollokshields. Toni Giugliano managed to persuade an individual who was a definite no, to a very probable yes in TEN minutes using a factual argument. 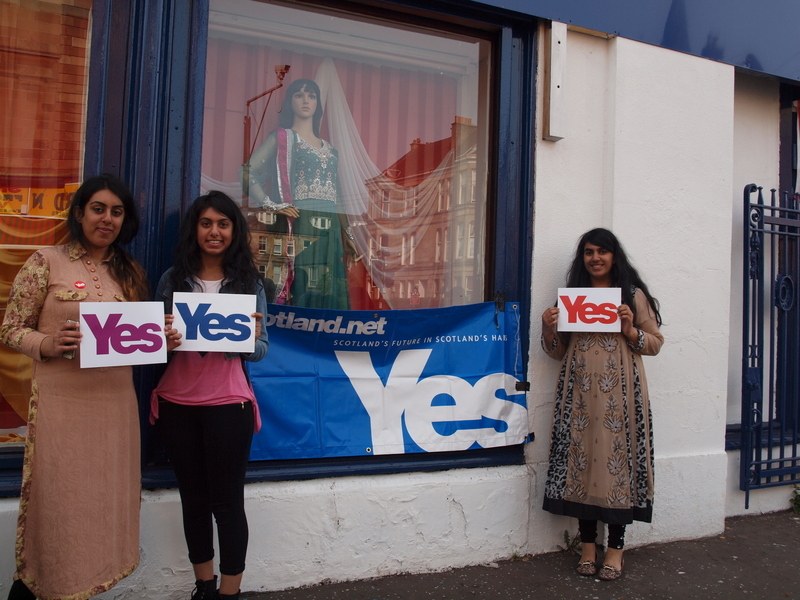 Having such a high calibre of Yes Advisors such as Toni and Tasmina Sheikh, Abdul Majid, Tahir Mohammed, Madni and our secret weapon, Makki Tahir, we refused to take no for an answer! A high number of activists joined us for the first time such as Ghazala Ahmed, and again we were very lucky as they were mentored by the more experienced members of the team as they leafleted and canvassed on Albert Drive, Maxwell Road and the adjoining streets. 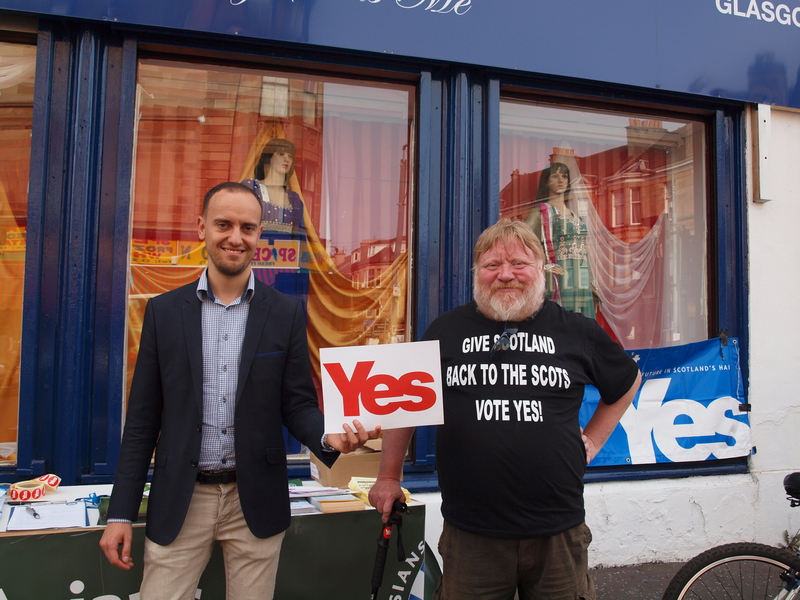 It was also good to have Councillor Norman MacLeod join us as an opportunity to have an open air surgery and to talk to his constituents about any issues that they felt needed to be given a higher priority by the city council. 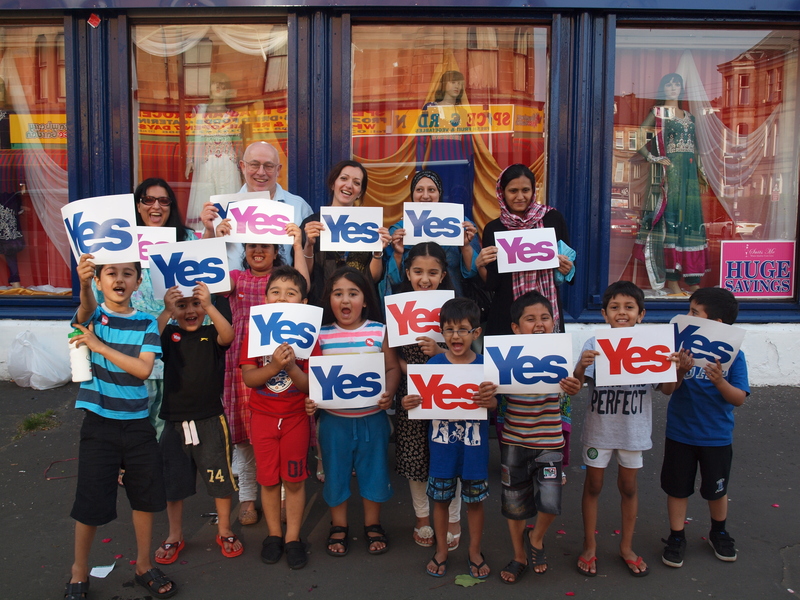 I thought this would be a great opportunity to share some of the photos from today that capture the team, and some of the cutest children that visited our stall and were so enthusiastic in wanting to be part of the photograph and the YES campaign. 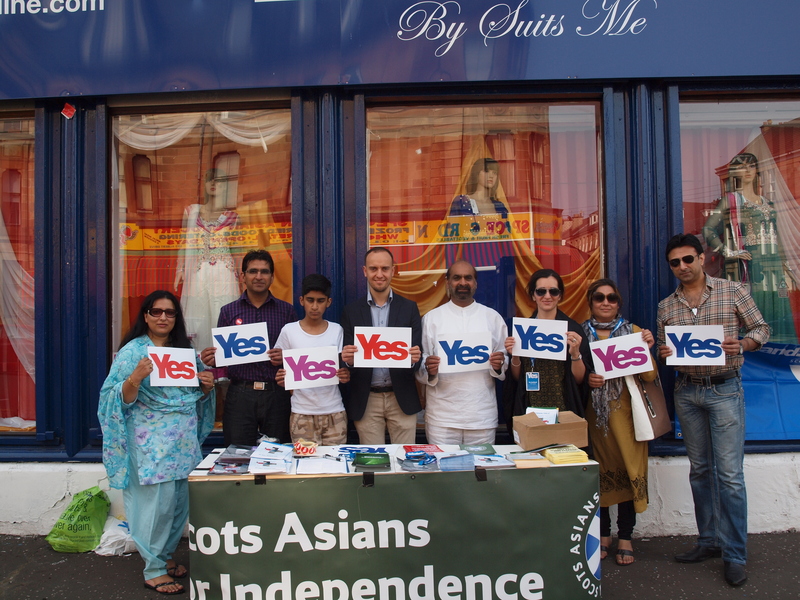 There will be a Yes Pollokshields and SAFY stall on Albert Drive this Saturday 13 July from 5-7pm. Please do pop by to give us a hand or ask questions or request more information. We will have many experts, politicians, Yes Advisors and activists present.